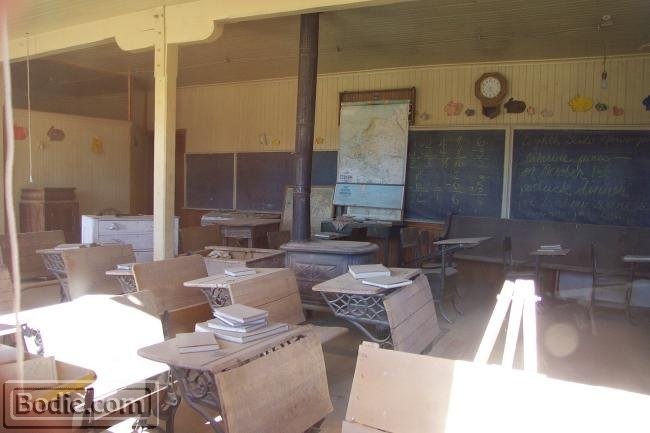 The schoolhouse is one of the better looking buildings in town. 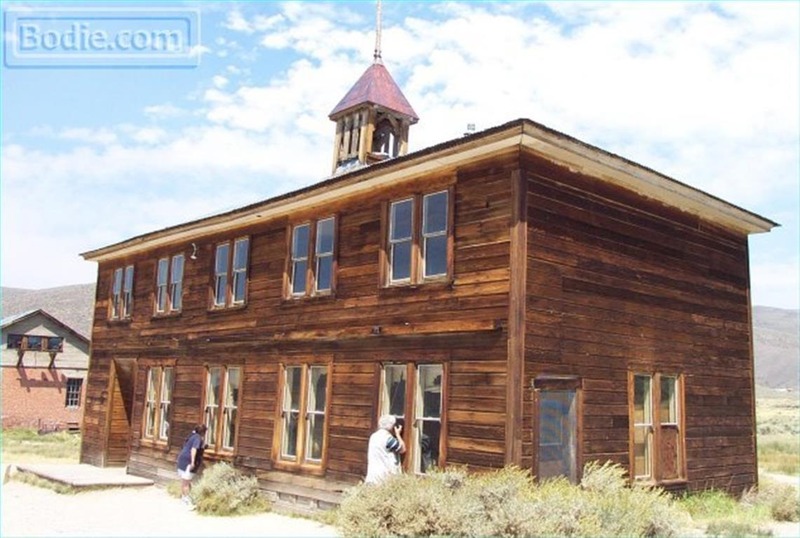 It was originally the Bon Ton Lodging House in 1879, but was later converted to the school house, after the first one was burned down. 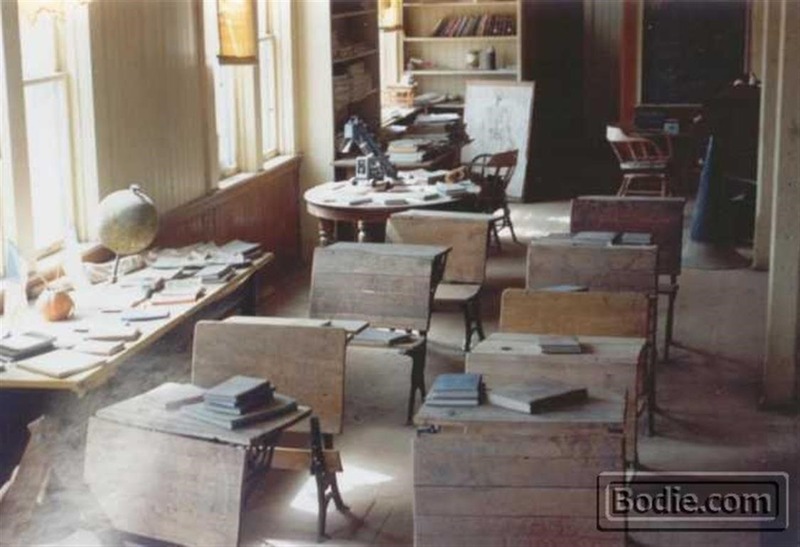 A view from inside the schoolhouse, gives you the feeling that the children are just out at play during a break. The town was abandoned so abruptly, that thousands and thousands of artifacts were simply left behind because they were too heavy, or too much to haul from one place to another. Of the many books, desks and toys left behind, only a portion are seen here. Hundreds more are in a back room of the school being used as an archive of sorts. Children and teachers posing in front of the Bodie Schoolhouse in 1911.